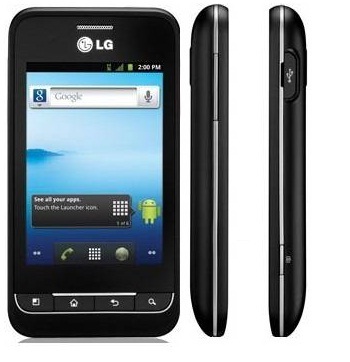 After LG Optimus Hub, now LG company rolled out LG Optimus 2, 3G Android Phone in India with affordable price. The LG Optimus 2 equipped with a 3.2-inch capacitive touchscreen display with 480 x 320 pixels screen resolution. The LG Optimus 2 device runs on Android 2.3 Gingerbread OS and power is provided by a 800MHz processor. The LG Optimus 2 include with 3.2 mega pixels Autofocus camera for video recording & playback, multi format Music player, FM Radio, 3.5 mm audio jack, and speakers, 179MB onboard memory which can be expanded up to 32GB through micro SD slot card. The Touchscreen Phone is social networking, Android Market integrated and supports major Google applications like chat, search, maps and more. The LG Optimus 2 also include with Wi-Fi, Bluetooth, WAP and USB data connectivity.